Partners key as Norton Business Unit Executive VP targets small businesses across New Zealand. Accounting for 97 per cent of the enterprise makeup, in New Zealand, small businesses are as common as sheep. According to The Small Business Sector Report of 2014, these 459,300 firms include 326,000 with no employees, 97,400 micro (1-5 employees) and 35,900 small (6-19). And for Fran Rosch, Executive Vice President, Norton Business Unit, they’re all potential Symantec customers. “Norton Security is focused on 20 employees or below, and in New Zealand this represents a huge opportunity for us,” says Rosch, speaking exclusively to Reseller News. Speaking as the dust settles on the vendor’s much publicised, and much criticised split into two, Rosch moved to reassure Kiwi small businesses heading into the New Year, insisting it was a case of business as usual. “The split had no impact on the Norton Business unit,” Rosch insists. “The Norton Business is run very much within core security meaning there was no cross over with the storage aspect of the company. “Norton plays a very important role in the running of the overall company, we’re an extremely profitable business with about $2 billion revenue, higher than 50% margins but we struggle with growth. “We’re not a rapidly growing business but as a result we’re focused on running two strategic businesses, the first one makes sure we have the best protection. "We never lose sight that as the bad guys are evolving we’re evolving with them. It sounds basic but it needs to be put across. A matter of minutes after the Board of Directors unanimously approved a plan to separate Symantec into two, independent publicly traded companies: one business focused on security and one business focused on information management, Rosch took to his computer and drafted up an email. With budgets already in place for the next 18 months, and zero crossover between the dividing businesses, Rosch believes the decision helps free Norton from the constraints of operating within the larger security machine, a move which he thinks can directly benefit small businesses across New Zealand. 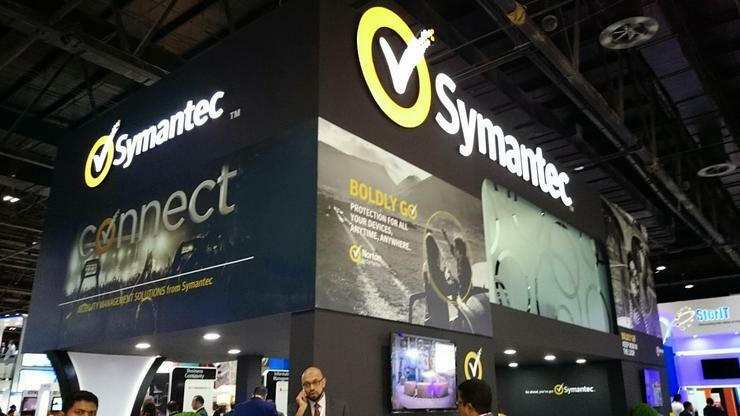 “We now have the freedom within our new baseline budget to dramatically change the Norton Business,” adds Rosch, who joined Symantec in 2010 through the acquisition of VeriSign's security business. Speaking with local knowledge, Rosch, who is based in the US, says the number one feature that small businesses require from security vendors is simple; simplicity. “That’s the number one reason without doubt,” he adds. “For small businesses we appreciate that security is one of many issues they have to deal with on a daily basis. “Small businesses simply don’t have the staff and people and coming from Norton’s simplicity on a consumer level, adding the layers that small businesses require is simple compared to taking complex enterprise solutions and stripping the down. “We believe that small businesses are made up of consumers, many of which use Norton Security, so this is a natural progression. But for Norton to reach the 450,000 small businesses currently operating from all ends of the country, from Cape Reinga to Stewart Island, Rosch acknowledges the importance of Symantec’s partner network in executing this strategy. Read more Are Kiwi companies really worried about digital risk? “We believe its important to have local presence and local support,” adds Rosch, who leads the Norton BU organisation, which includes sales, operations, engineering, product management, marketing and support for Symantec’s Norton-branded products for consumers and small businesses. “This is where our partner community comes into play. In New Zealand we feel that business prefer to buy from a company that is invested in the market which means we have to be committed, along with our partners. In New Zealand, small businesses employ around 584,000, representing half a million worth of leads for Norton to increase its footprint across the country, a move Rosch believes is achievable in 2015 and beyond.